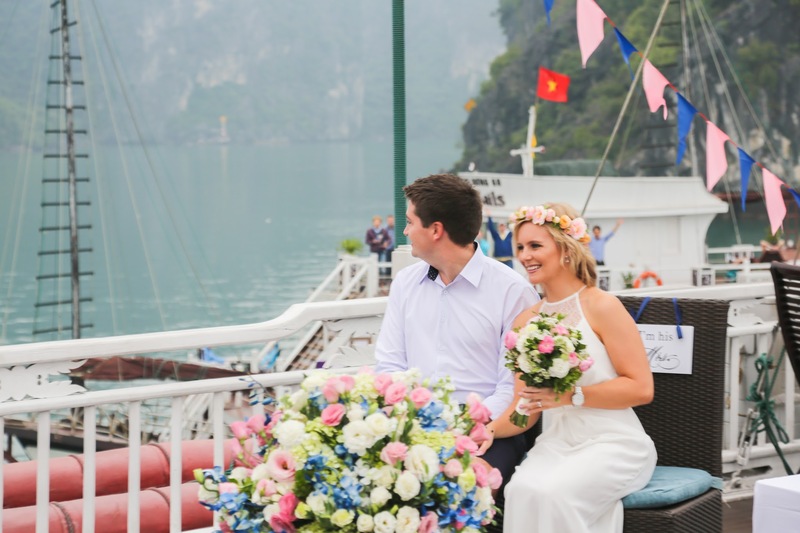 Not only many Vietnamese couples but also others international ones coming from all over the world have chosen wedding cruises in Halong Bay as the beginning of their happy married life. 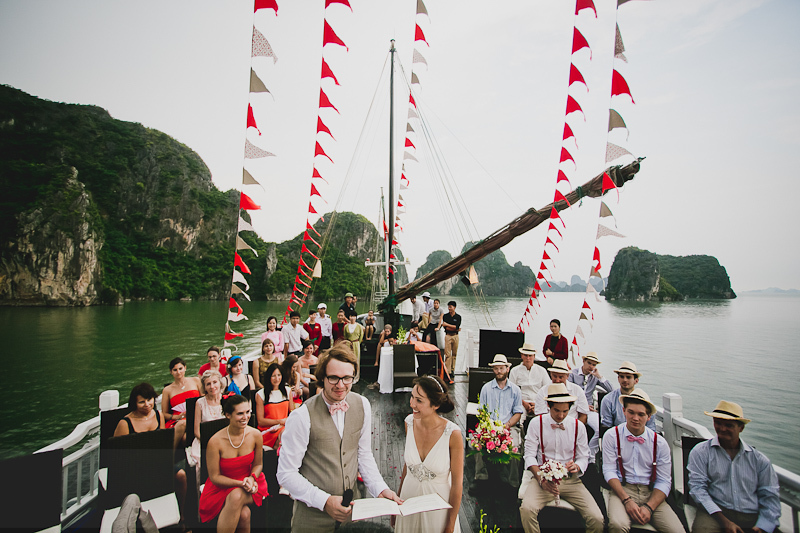 Offering wedding services with a variety of packages, Halong Bay cruises provide all the essential wedding preparations completely based on the interest of the couples. The wedding packages are launched and can be tailored to the number of attendees, the expenditure and style of the couples; it can be totally customized. 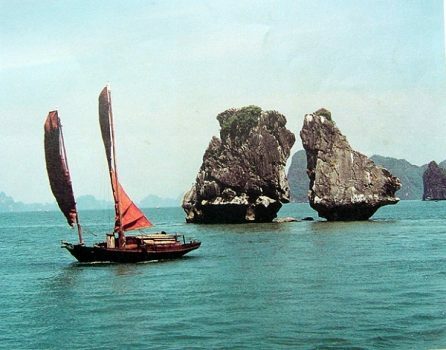 When organizing your wedding in Halong Bay, you can choose from a large number of locations. 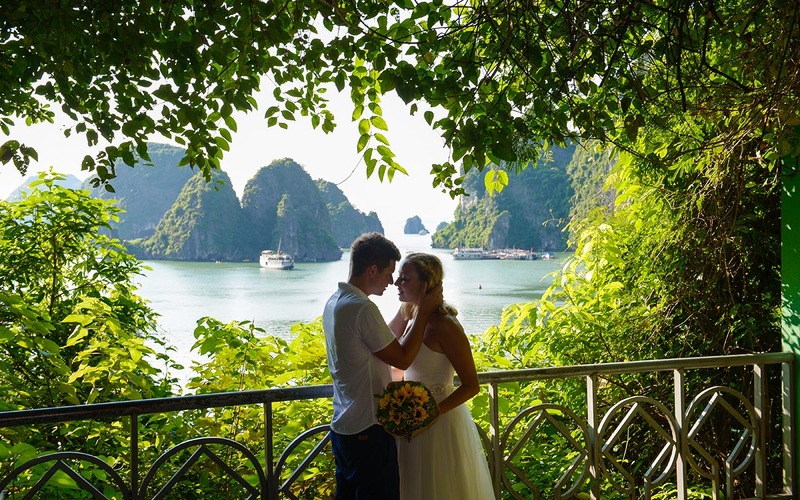 Look into each other eyes in a cave bathed in subtle candlelight, or what about standing shoeless on the sand of a remote island beach, taking your vows on the spacious deck of a cruise boat and bobbing around in the exceptional charm of Halong Bay. No matter which one of these extraordinary options you choose, your wedding day will be truly unforgettable. Image how amazing you and your lover will feel when enjoying your special moment on a luxurious cruise accompanied with the spectacularly beautiful panoramic views and a star-lit night in Halong Bay or your special wedding with the interesting sound of the ocean waves as a backdrop. 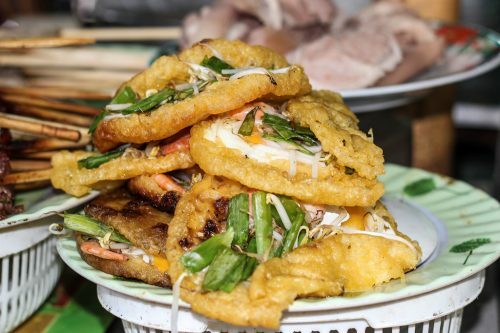 It is not exaggerating to say that there is no better experience than this? 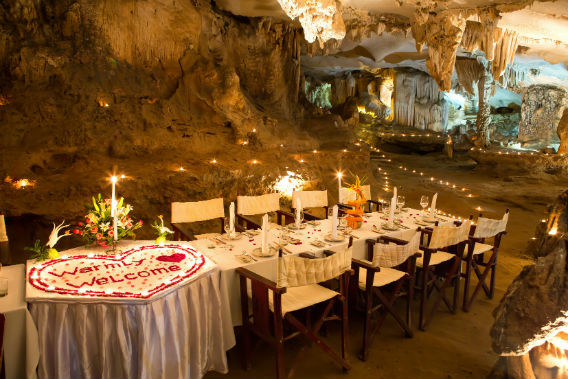 Your intimate wedding dinner can be enjoyed together with family members and friends. This wonderful experience will be unforgettable memories for those special people in your life. 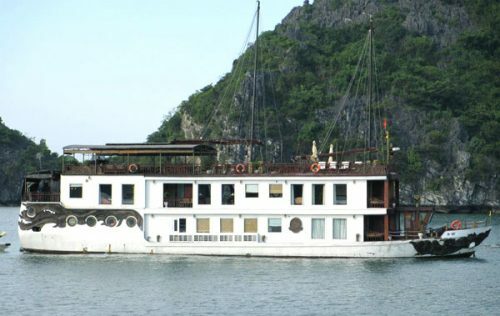 After the wedding ceremony, you and your soul mate can happily enjoy a romantic honeymoon on your floating hotel when it cruises to keep on exploring the exceptional charm of Halong Bay. 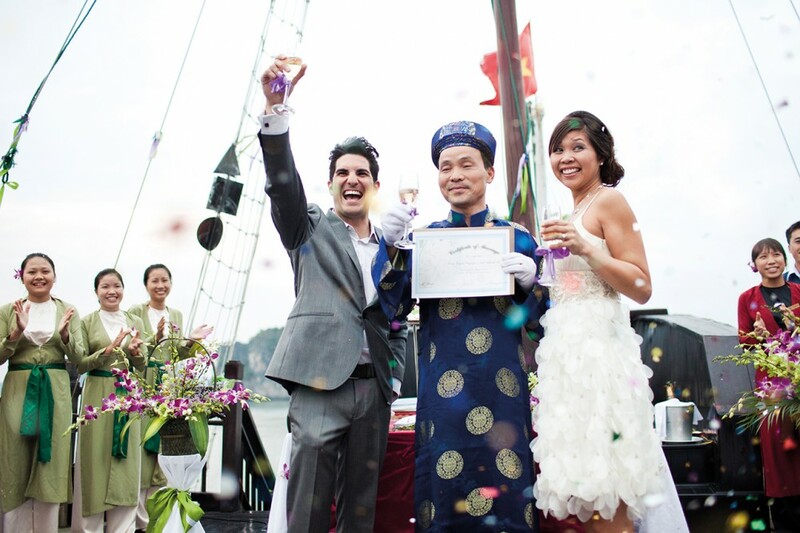 Halong Bay’s wedding cruises ensure to create the most romantic, precious and memorable moments of your lifetime. You can spot the unnoticed special moments, the unspoken thoughts on family members’ and friends’ faces, and of course the magnificent sceneries when you look back your wedding photo shoots and videos. Your heart will fulfill with emotion while all the atmosphere and solemnity of your wedding day will be captured, your love story will be retold.